Holly bushes can be transplanted when special care is taken. The longer the bush has been at its present location, the more difficult it will be for the holly to thrive once transplanted. 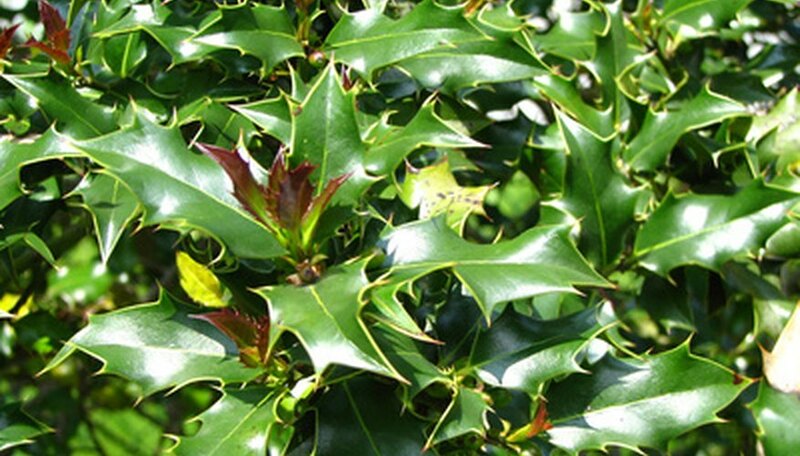 Needing a location of full sun to partial shade, holly bushes prefer an evenly moist, well-drained soil. When being transplanted, the holly can lose many of the fine feeder roots that are attached to the root ball. These roots are essential in absorbing water and nutrients from the ground. Prepare the holly bush for spring transplanting in early fall. Prune the root system to prevent damage during the transplant process using the spade method. Push a spade shovel into the soil around the holly bush, 24 inches from the trunk. Continue to spade around the bush, creating a circle. Push the spade shovel into the soil 12 to 15 inches deep. Layer mulch around the holly bush, paying special attention that the mulch does not touches the trunk or stems of the bush. Provide supplemental water to the bush during dry periods between the root pruning and the transplant. Leave the holly bush in its current location until the following spring. Choose a location large enough to sustain the holly bush in its full mature state. Holly bushes can reach 12 to 18 feet in diameter. Dig a hole the same depth as the bush is currently planted and twice the diameter of the root ball that was spaded in the fall. Water the holly bush at its current location thoroughly. The root ball should be very moist to help aide it in the transplant process and keep its roots intact. Dig the root ball out of its current location with a spade shovel following the same pattern as the fall root pruning. Lift the holly from the ground, paying careful attention to the root ball. If it is broken or cracked the holly bush will not survive the transplant. Wrap the root ball in burlap for protection. Place the holly bush with the root ball intact into a wheelbarrow or garden cart for easy transport to its new location. Settle the bush into the hole, ensuring it is not buried any deeper than it was at its past location. Do not apply any fertilizer to the new soil. Fill the hole with the removed soil, firming it around the bush’s trunk. Water the area well, until the soil is moist. Apply a player of mulch to the area 2 to 3 inches deep. Do not allow the mulch to touch the trunk or stems of the holly bush. Tend the bush carefully for the next year. The first year after transplant is a critical time for a transplanted holly bush. Provide water to maintain a moist soil. Water when the soil 2 inches below the surface is dry. Do not allow the holly bush to dry out completely, but allow the surface dirt to dry between watering. Over watering can cause damage.